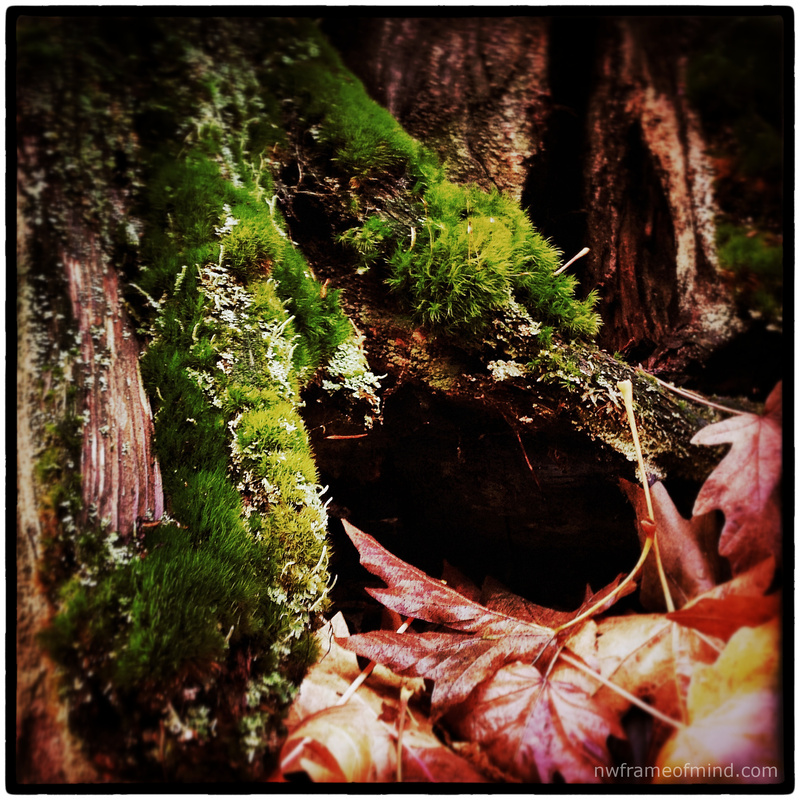 The first week of the month is nature’s time to shine at Lens and Pen by Sally’s Phoneography Challenge and today I have another photo from our Sunday afternoon walk through the woods. We left the house planning to spend a few hours on the beach but now I’m glad the access roads were closed because I would have missed the opportunity to capture some of these great fall colors. Love the composition! Living moss, dead (fallen) leaves. Just beautiful. Thanks Nancy. 🙂 The living/dying contrasts are what brought me over to this tree. I knew you would get it! I like the combination that shows nature in the raw. The detail on the moss is nicely captured. Happy Phoneography Monday. awesome capture of the moss. The colors and the textures are great! The warmth of the browns and the crisp green….lovely! I love, love, love this! It practically smells like fall! Thanks Evelyn, the trees and plants did smell amazing. So fresh and clean! A very nice and well-framed woodsy shot that you captured. Thank you, I’m happy to learn you like this one! Composition, colors, and texture are all beautiful! Thank you Amy, your kind comments always make my day! That brings back memories of walks through woods that were mysterious and enchanting with all the secrets to be uncovered on the woodland floor.